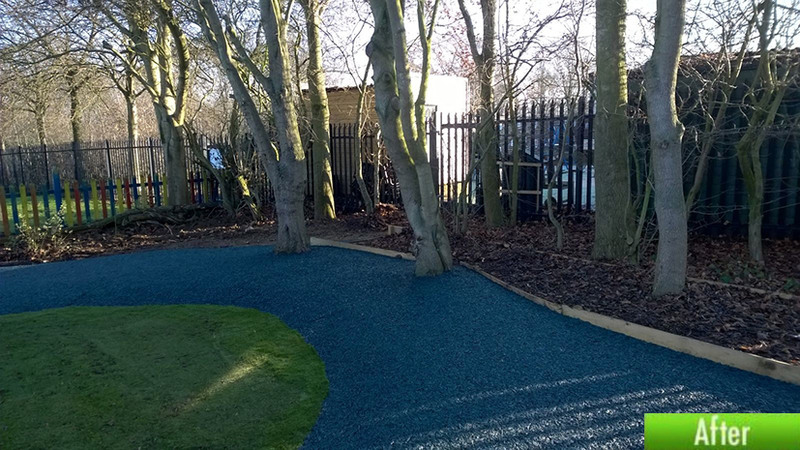 PlaySmart have recently worked in partnership with KOMPAN Limited to extend the outdoor surfacing of the well-loved, recently upgraded play area at Moorlands School. 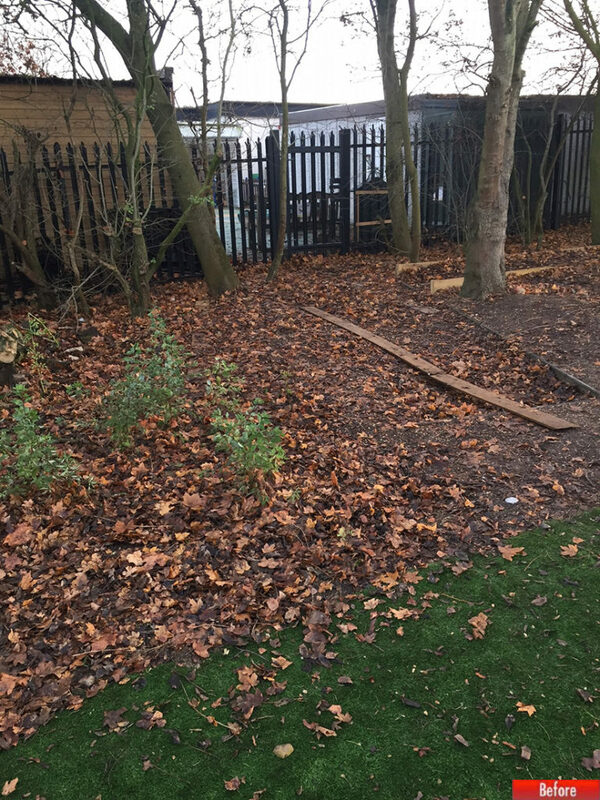 The existing play area and artificial grass met a large tree pit which ran the length of the space and prevented anyone from using that section of the site. It was decided that JungleMulch was the perfect outdoor surfacing option to allow children to make use of the space while protecting the trees as it is water permeable and flexes to accommodate root movement. The result is a far more landscaped look, which will allow the children to enjoy more of their outdoor space. If you’d like advice on the best outdoor surfacing solution for your area, please feel free to get in touch! You can reach our experienced team directly on 01564 742 811.